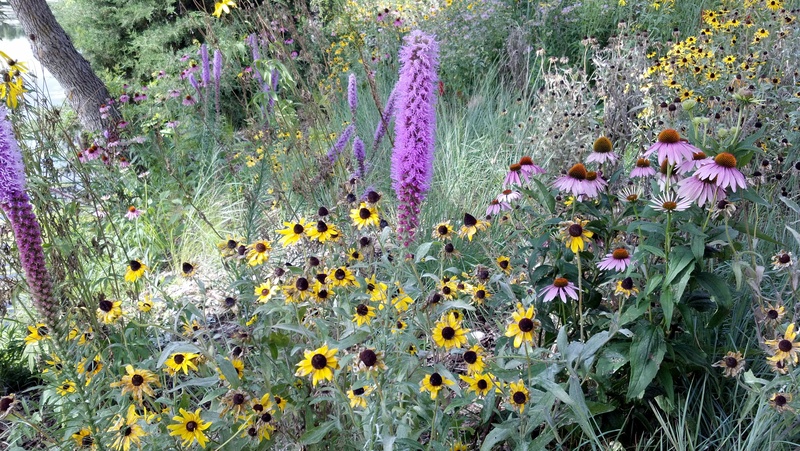 What Benefits Do Rain Gardens Provide? A rain garden is a garden of native shrubs, perennials, and flowers planted in a depression, which is generally formed on a natural slope. It is designed to temporarily capture and soak in rain water runoff that flows from impervious surfaces such as roof tops, driveways, patios, or lawns. Rain gardens are effective in removing 90% of nutrients and chemicals and up to 80% of sediments from rain water runoff. 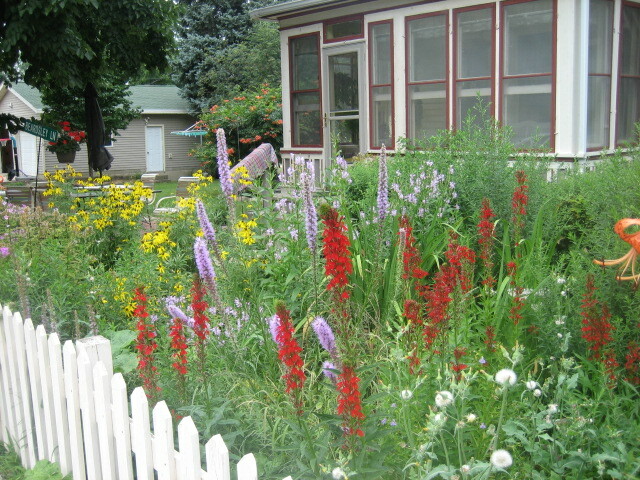 A rain garden is not a water garden. Because rain gardens will drain within 12 to 48 hours, they prevent the breeding of mosquitoes. After a storm, water fills rain gardens and then slowly filters into the ground rather than running directly into a storm drain or lake. Rain gardens improve water quality by filtering out pollutants: decreasing storm water runoff by 80 percent; keeping 10 to 20 pounds of phosphorus from entering storm drains and lakes. They are aesthetically pleasing, preserve native vegetation, provide localized storm water and flood control, attract beneficial birds, butterflies, and insects by providing valuable habitat, and are easy to maintain after establishment. The HLWD sought to instill a sense of personal responsibility for the two lakes in the Fulda area by engaging local organizations and the general public in the awareness of the effect of water pollution on the Fulda Lakes through unique educational displays, hands-on opportunities, and various printed media. Through the use of an Environmental Protection Agency Section 319 program grant, several education events were held and six rain gardens were installed within the City of Fulda.